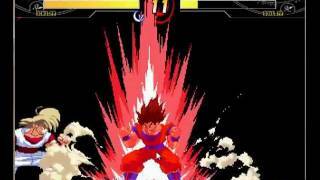 DESCRIPTION - A Dragon Ball z character created by Cybaster and Balthazar with a capcom style artwork and gameplay. A truly Street Fighter-inspired version of Goku. This character took nearly 4 years to be finished. Just click the download link yhat you will go to the official download page.